The name Joe Jonas is an icon of pop culture ubiquity. He and his brothers, Kevin and Nick, along with Miley Cyrus, defined the zeitgeist for years as the face of Disney’s saccharine television channel and the corporation’s music crossover efforts. However, the 27-year-old Joe is ready for a change. The Jonas Brothers are no more – as a musical entity, anyway – and it’s Joe, arguably, who has come out on top after the band’s dissolution. 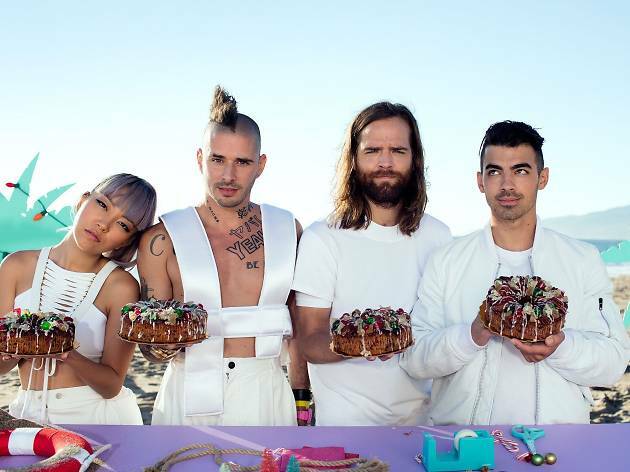 His new party pop outfit, DNCE, has been making waves, courtesy of their megahit Cake by the Ocean. How has the dynamic been for you in DNCE, working with friends as opposed to family? I really enjoyed working with family but, obviously, it’s a very different dynamic this time around. With my buddies, it’s been a blast. And honestly, working with my brothers was a blast too, so it feels like I’m doing it all over again. What do Nick and Kevin think about DNCE’s music? They love the music, they’re very supportive. I played the tunes to my brothers early on and the reaction was really great. They felt like the music had its own vibe and they are very big supporters. Some people might have questioned your decision to strike out on your own and go in such a different direction with DNCE. 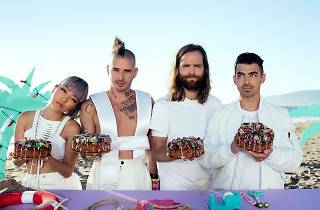 Do you feel vindicated seeing DNCE become very successful in its own right? It’s been a very special experience to have my own band succeed, take off and gain fans all over the world. There’s something really special about that. When you get to do something like this on your own ­– in the context of it being so different from The Jonas Brothers – it’s something more than just a pat on the back that you give yourself. Yeah, the live show is a very good example of what the band has become and what the band is. That’s something we’ve been working on for quite a while because we want people to feel that once they come home after show, they can reflect on having had an amazing time. Most critics seem to be in alignment, saying that they respect your approach to pop music and that it takes risks while still maintaining mainstream appeal. Is that a fair assessment? That’s a great compliment. I try to listen to a lot of different things, especially pop music, to educate myself about what people are currently into and what they’re excited about. You kind of balance it with the music you grew up with and love. I try to find that balance with DNCE.